The effort by President Trump to push the Republican run Senate is meeting stiff resistance. Trump is challenging the Republicans to man up and do their job and deliver for the Americans that gave them the majority. Trump’s rally in Phoenix, Arizona, where he criticized two unnamed Republican senators, also added to the tension between the senate and the president. The president’s effort to press Senate Majority Leader Mitch McConnell (R-KY) to lead has Republican senators circling the establishment wagon to protect McConnell. Recently, Senator Bob Corker (R-TN) criticized Trump during remarks at a Rotary Club meeting in Chattanooga, Tennessee. The left-wing media is making the most out of the tension between Trump and Congress. Other lawmakers chided the president for the attacks he fired off during a campaign-style rally in Phoenix on Tuesday evening — including indirect references to Arizona’s two Republican senators, Jeff Flake and John McCain. Trump is exposing the fact that the Republican establishment likes to be in power but not use it. While the media is promoting the division in the Republican ranks, polls show that McConnell’s approval rating is very low. 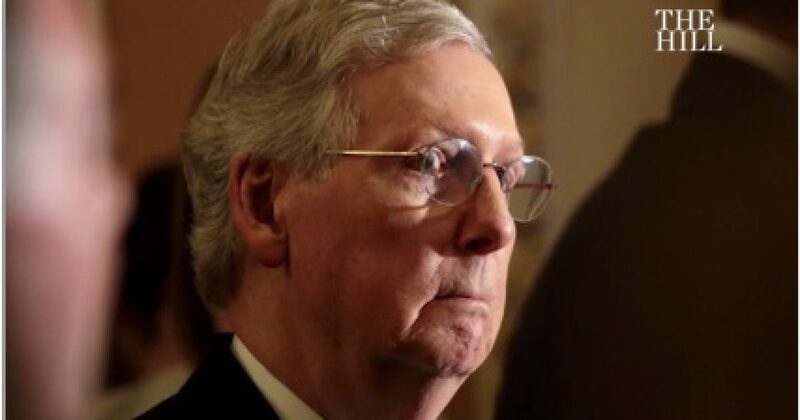 McConnell, who is not up for reelection until 2020, only has an 18 percent job approval rating in Kentucky according to a poll released this week by the left-leaning Public Policy Polling. McConnell is the only Republican elected official polled that is not viewed favorably by a majority of his own party. As the poll shows, McConnell is the problem, not Trump.